This award is intended to encourage youth between the ages of 12 – 18 to pursue their interest in Astronomy by providing them up to two years of free membership in the Royal Astronomical Society of Canada—Edmonton Centre. Two awards are available annually. Click here to apply. The McBain Camera Specialty Annual Award for Astrophotography was retired in 1974. On 27 February 2016, the Board of the RASC appointed Douglas Hube and Franklin Loehde as Fellows of the Royal Astronomical Society of Canada. 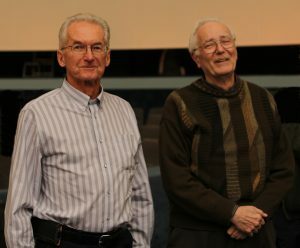 Both of these long time members of RASC Edmonton Centre have made magnificent contributions to the Society and the Centre as well as bringing knowledge of our science and appreciation of the astronomical universe to the general public.